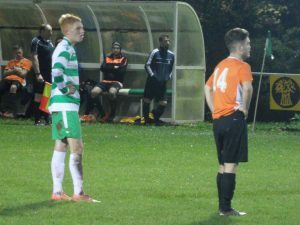 The Saints beat Builth Wells FC 1-0 last night in a tight affair, a solitary goal from 17 year old Liam Mcanally was enough to put us through to the semi-final. 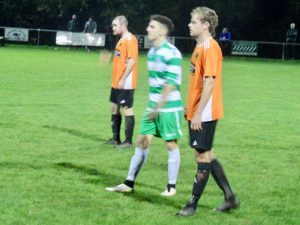 The home team had the first real sight of goal in the sixth minute when Jack Evans 25 yard effort was deflected wide of the Builth Wells goal. 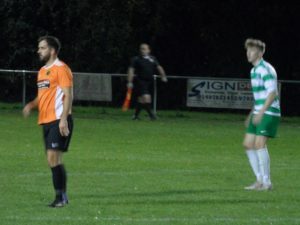 The Wyesiders responded with a 16th minute cross from the right headed straight at Saints goalkeeper Tom Bevan by Tom Bethall before his opposite number Chris Jones was forced to make a full-length save from a low 25 yard shot just a minute later. 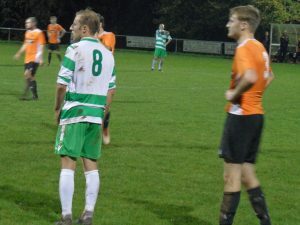 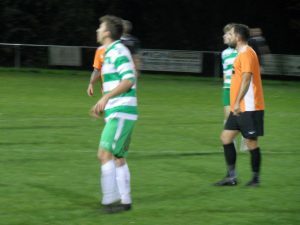 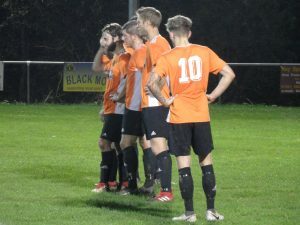 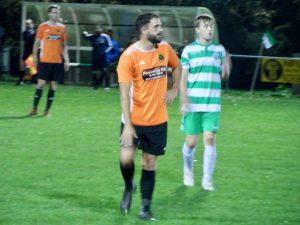 Hay St Mary’s broke the deadlock in the 22nd minute when substitute Liam Mcanally who had replaced the injured Jack Evans saw his shot from 25 yards take a deflection and wrong-footed Chris Jones in the visitor’s goal. 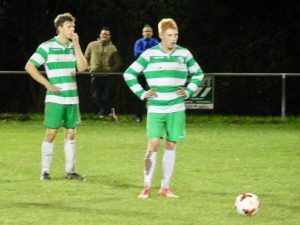 (1-0). 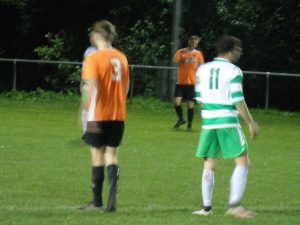 Saints striker Matty Tong broke through on goal on the half-hour mark but he was denied by Jones when he unleashed his shot on target. 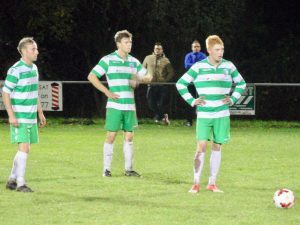 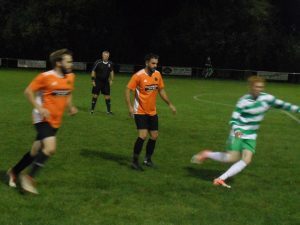 Builth Wells fired a shot straight at Bevan from the edge of the host’s penalty area five minutes before the interval. 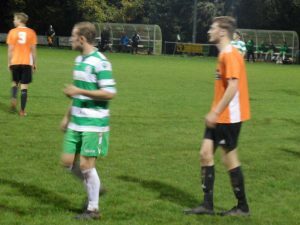 The impressive Josh Price broke through on goal for the Wyesiders, seven minutes following the restart, but was unable to keep his shot on target before Hay St Mary’s came close to doubling their tally in the 64th minute, Tong pulled the ball back to Callum Maddy but his close range shot was saved by Jones and the Builth Wells custodian made another smart save from Maddy from the rebound. 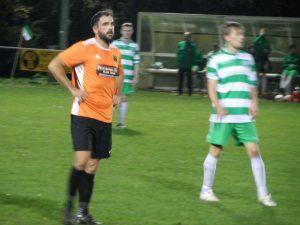 Jack Biggs then saw a header saved by Jones just a minute later after he was found by Liam Mcanally’s cross into the danger zone. 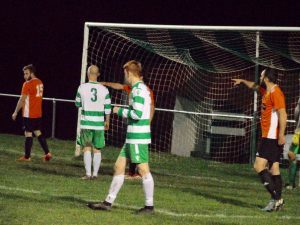 Tom Bevan made an excellent close range save following a 73rd minute cross into the Saints’ penalty area before the goalkeeper turned a header over the crossbar four minutes later. 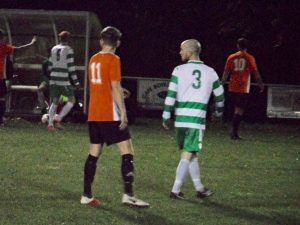 Hay St Mary’s striker Greg Preece chased after a hopeful ball played forward in the 79th minute but struck his effort wide of goal. 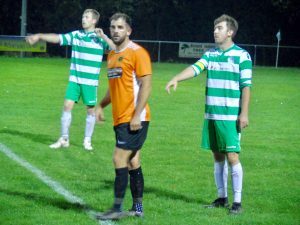 Brendan Hackett headed an 87th minute cross straight at Jones before Biggs’ deflected shot was saved by the former Caersws striker. 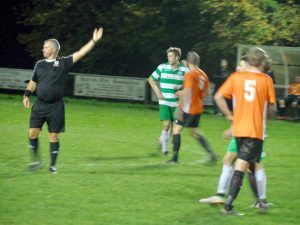 There was some late drama in stoppage time when Jones was shown a red card for arguing with referee Chris Corfield. 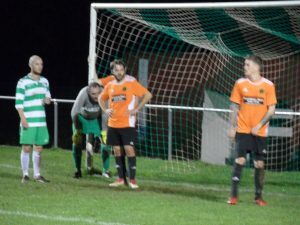 The official had brought play back for a free-kick after initially playing advantage when Brendan Hackett was pulled back when running through on goal. 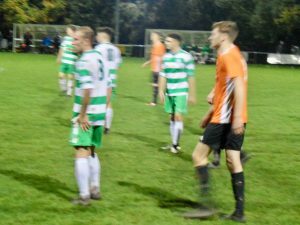 But Hay St Mary’s had done enough by then to record a hard-fought victory against opponents that contained a large amount of experience amongst their ranks. 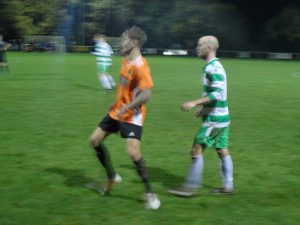 Match report and photos by Stu Townsend. 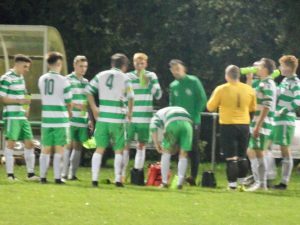 Most games our attacking players get all the headlines but tonight it should be the defence who were excellent throughout. 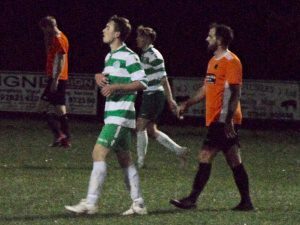 Our skipper lead by example with Frazer next to him who did very well as did Will Goodwin at full back but my man of the match would have to Tom James who never put a foot wrong all night. 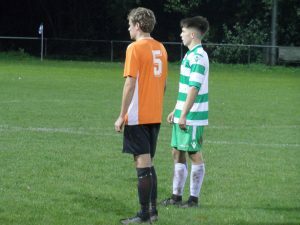 A special mention for 17 year Liam Mcanally who came on and scored the winner but also put in a great shift in the engine room against good experienced players.